Comfort and accuracy is vital when you are drawing or writing. 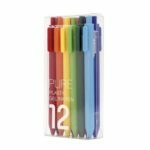 This Erasable Gel Pen is here for you, it write smoothly just like a regular gel ink pen but allows you to erase like a pencil at any time. The gel ink will turn transparent when subjected to friction, making your life easier. Comes with 5pcs extra refills, easy to replace, suitable for a long time use. 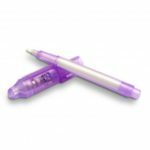 Erase and rewrite repeatedly without damaging documents, eraser is at the top of the pen. The gel ink will turn transparent when subjected to friction, making your life easier. 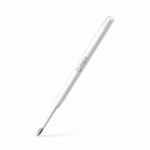 Ergonomically designed body gives you a comfortable grip for easy writing. 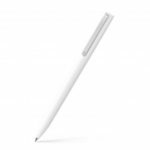 With 0.5 mm fine point, provides consistent ink flow and smooth writing. It is also refillable, with 5pcs extra refills, easy to replace, suitable for a long time use.